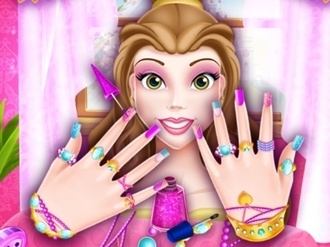 Cinderella has a new ball to attend to and she needs to be ready as fast as possible, nail saloon games take time, beauty takes time and she wants to be the most beautiful princess in the kingdom. Your skill in free online games is what will save the day for her. This three part game is played using your mouse. The first part you must play and treat her nails, give them a polish, cut them and make them look healthy. 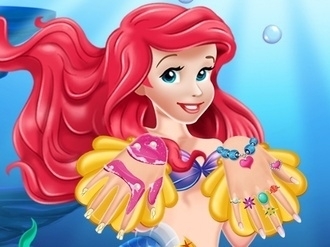 Then you must give them color and accessorize them, lastly comes the make up part for her face. Good luck and have fun! 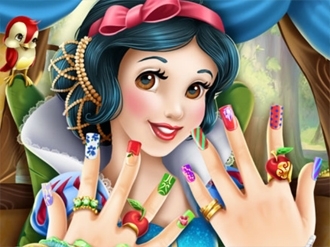 The sweet and gentle Snow White is going to the nails spa for the very first time and she needs your help with a new manicure. Join her in a professional salon, apply the relaxing hand treatment, repair the nails and get ready to create beautiful nail art. Finish your masterpiece with cute bracelets and rings to add more elegance to her style. 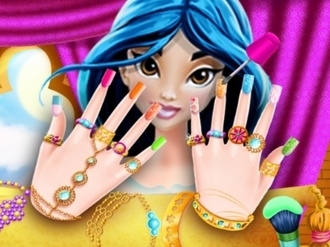 Have your new client taken care of in this Jasmine nail salon game and she will be the happiest princess ever. Make her hands silky smooth and her nails cute and colourful in order to match any of her outfits.